Slicing the top of the Mini Coupe made the Mini Convertible, a cute little car all the more desirable with all the lively characteristics still intact. The extra weight added by chassis stiffening has blunted the car’s straight-line performance, but it is still one of the most fun and agile handling cars you will find at any price. 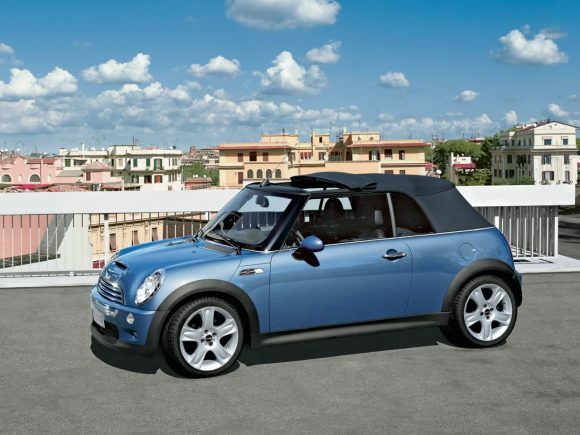 The Mini’s open top drive is refined with little wind gusting into the well designed cabin however room for back seat passengers is limited. 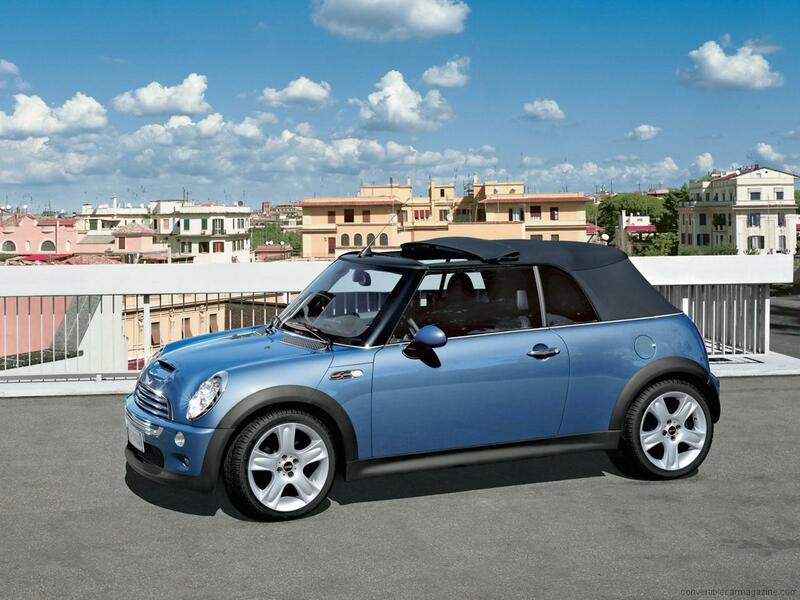 The electrically folding roof works well but does restrict rear vision when either up or down. It has four-seat practicality and a quality roof that means it can be used all year round without worries that the weather might come in. 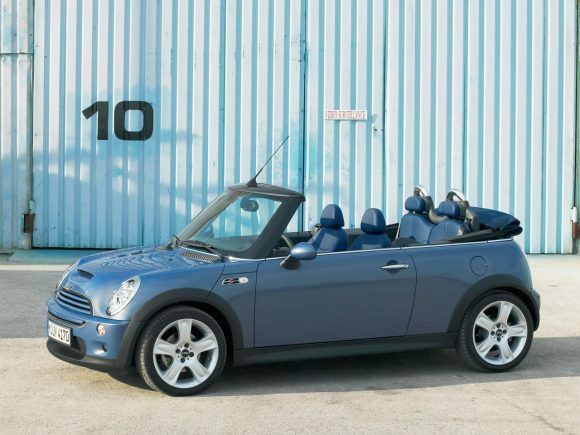 On the downside, the Mini Convertible isn’t relaxing to drive over a long distance and the engine and gearbox need to be worked hard to get the best out of them. There isn’t a lot of space in the back seats, as you might expect and even less in the luggage compartment so you will need to pack light. Standard equipment is excellent, but the popular Chilli Pack adds some extras such as air-conditioning and xenon headlights that are well worth having. The bigger wheel options look great but they do harm the ride quality and the handling doesn’t flow so well from one bend to the next. The Mini has been a massive success for BMW by providing a premium quality small car with a unique personality and cheeky styling. The Mini One Convertible is the entry level of the drop-top version and packages the most desirable components into one affordable model. The Mini One Convertible gets the same 1.6 as the Cooper just as a detuned version. It still has plenty of go for everyday driving and has the same characteristic enthusiasm as the other models. 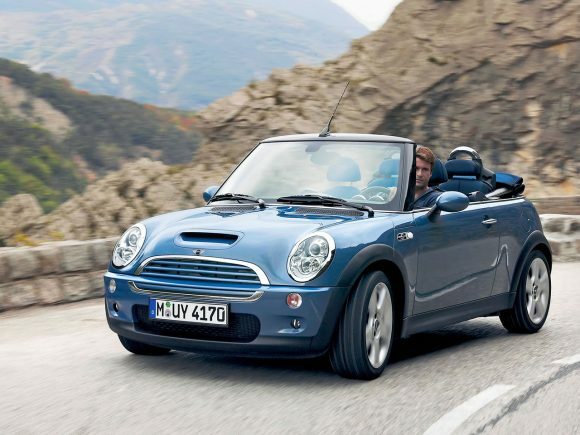 The Mini Cooper Convertible is an iconic little car that is fun to drive top up or down. It literally out maneuvered the established competitors with great handling and youthful style. This winning combination has made it a common site but it still remains desirable and they hold onto their prices well. The Cooper engine is characterfully keen to go and brings out the best from the agile chassis. While this Mini might be a long way from the compact original it does share its nimble handling which makes it as much fun around town as bombingaround windy country lanes. The steering is sharp and provides good feedback leaving you with lots of confidence that you can place it exactly where you want. 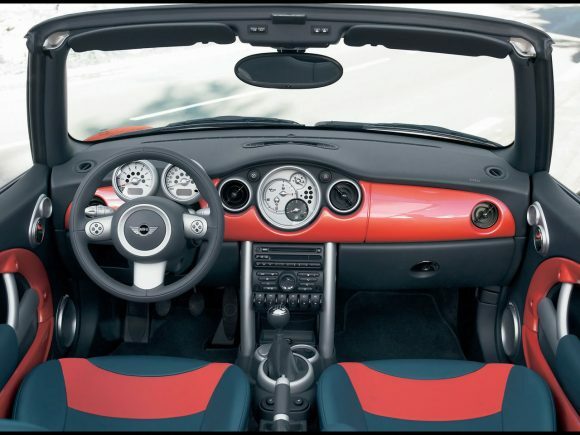 The supercharged Mini Cooper S Convertible has the power to make this fun little car into a serious performance machine. Only the bonnet scoop and a few discrete badges mark it out from a standard Cooper but get behind the wheel and you realise that this is quite a different car. In the other cars the agile chassis is crying out for more power and the Cooper S prooves that it can comfortably cope with it. It is hugely confidence inspiring to drive and forgiving when you push it a bit too far which means you can make use of all that power whenever you want to. The supercharger whine isn't subtle and has been compared to the transmission noise of the original Mini so seems to fit in well. Steering is pricise and full of feedback so you always know what the wheels are doing. Thanks to the light weight and small capacity engine the fuel consumption and emissions figures are very reasonable which make this one sporting car that is easy to live with. 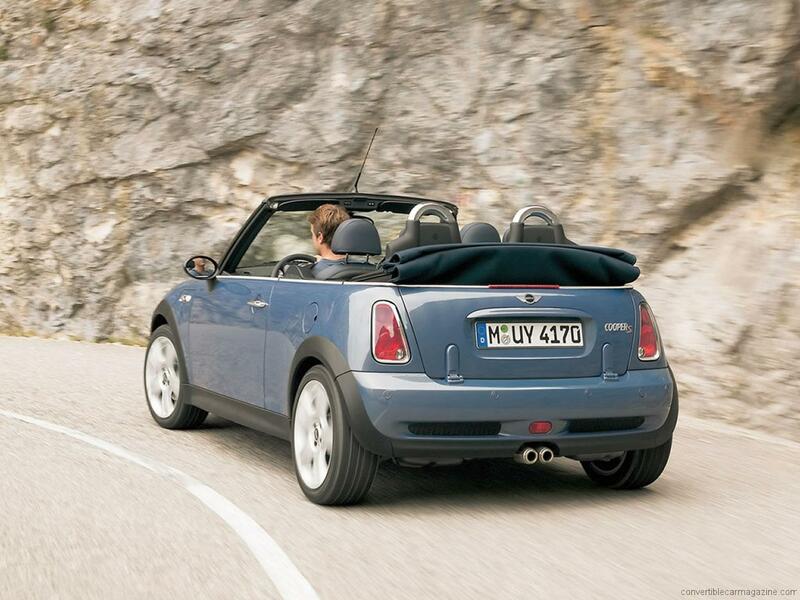 Do you drive a Mini Convertible? Would you recommend it to others? Join the conversation and let us know what you think of the car. This Mini currently has 2 owner reviews. 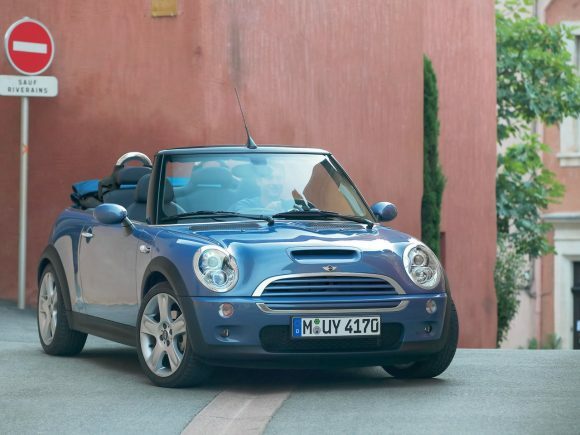 would like to know what is the price for an automatic diesel , convertible mini. Your local dealer will be able to give you a price but roughly it will be an additional £1000 GBP / €1200 / $1600 USD over the manual price.